Okay, so it doesn’t look like the most exciting thing we could ever hope to find in the forest, but without it, those fallen oak trees would have a pretty difficult time recycling back into the earth. This is Xylobolus frustulatus, or ceramic parchment — a crust fungus that degrades lignin, hemicellulose, and cellulose in oak trees. 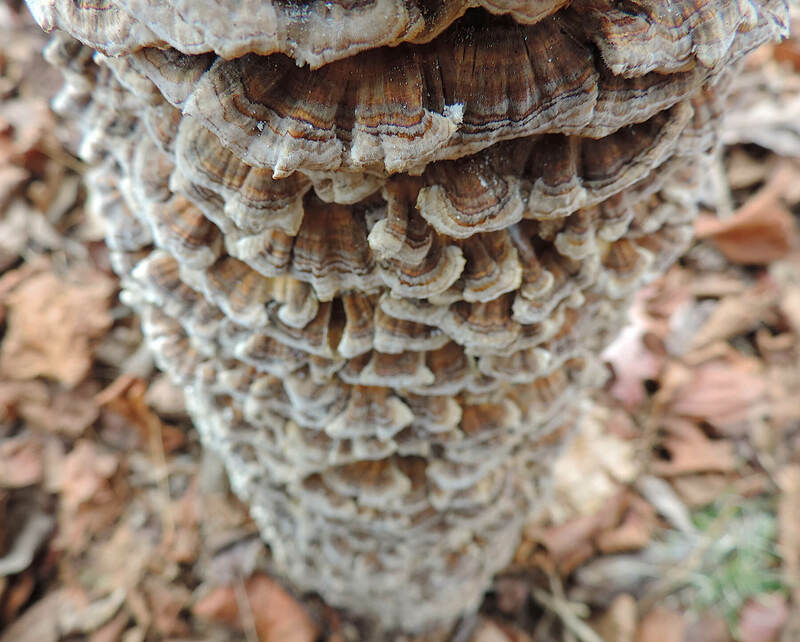 While it performs most of its work on the microscopic level, its presence can be detected by these tile-like “frustules” that cover logs, sticks, and stumps. It’s fairly common and available for appreciation year-round, so if you find yourself walking through the woods, take a look around and say hello to your friendly crust fungus, Xylobolus frustulatus. 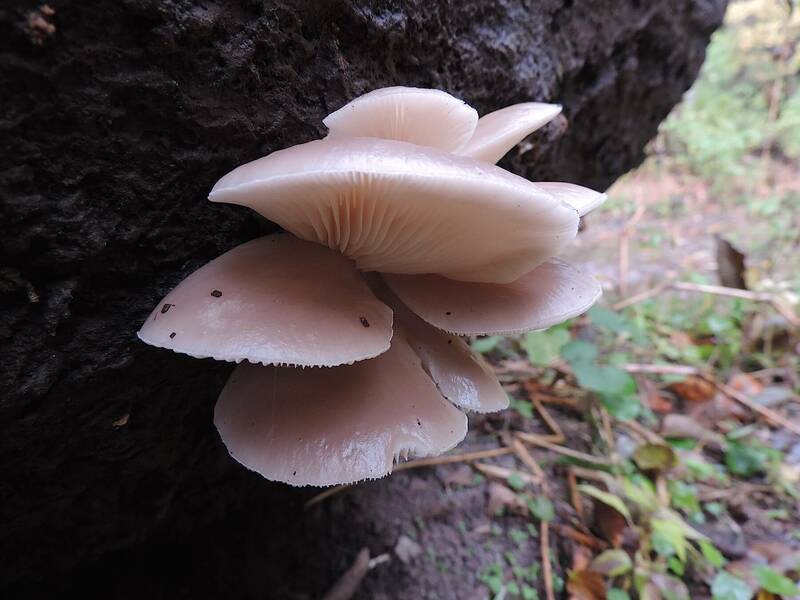 Categories: Foraging, Fungi, Nature | Permalink. Exposure to synthetic and semi-synthetic chemical compounds has been linked to human cancers. Many of these compounds directly react with DNA, causing mutations that may ultimately lead to cancerous conditions. This is known as genotoxicity. In other words, turkey tail is probably a mushroom worth befriending. Now go harvest some!